Nowadays, people are more concern with the indoor quality in where they live as it is closely related to their health. The importance of having a better quality of life includes knowing that you have an improved living condition. I too am very particular with the place that I am staying simply because I am easily prone to sickness. Most of the time it was due to the air quality condition. Some offices might have their own Indoor Environment sensors installed to provide a better work environment for their employees. But how can I know that the building I am staying or even a room I am renting provides good living conditions? Well, now you can! Just build your own Indoor Environment device that can monitor the indoor quality of your home’s environment with Zio Qwiic Indoor Environment Sensors Kit. We have compiled and resourced together our best sensors and modules that you need to easily start building your very own Indoor Environment Sensor device. With this kit, we even took the liberty to simplify your coding so all you need to do is just upload the code to your board and start monitoring your environment! 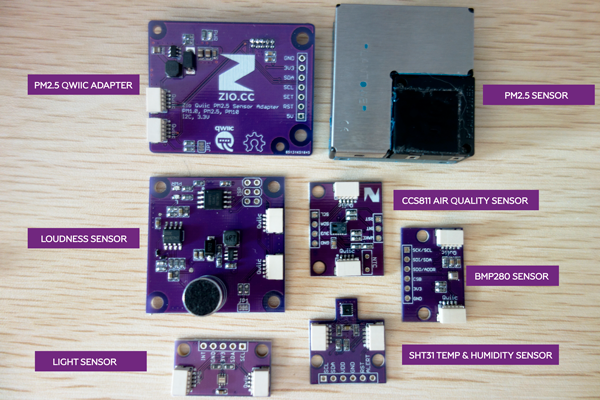 What’s included in the kit are qwiic sensors and modules that can help you build an Indoor Environment Sensor device for your home or office or science project for school! This kit is also IOT compatible and can be easily configured so you can monitor your environment’s data on your desktop, tablet or smartphone device. 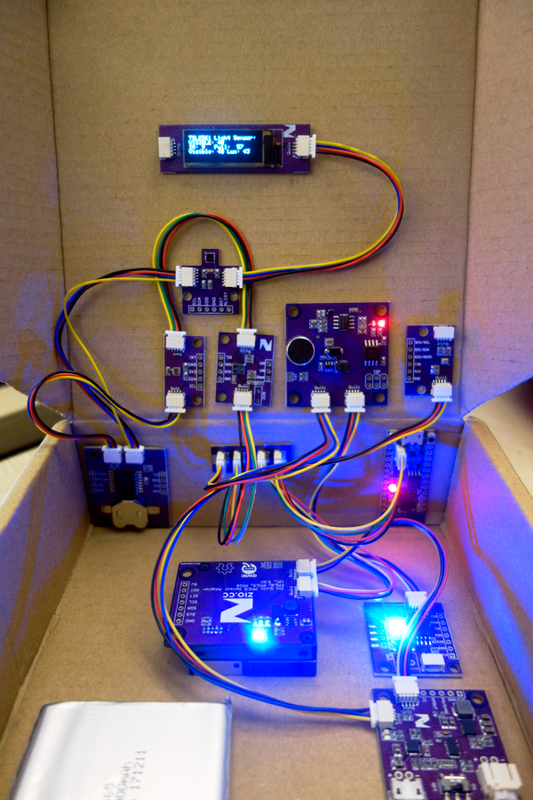 This project will be utilising Zio modules to build an Indoor Environment Sensor device. 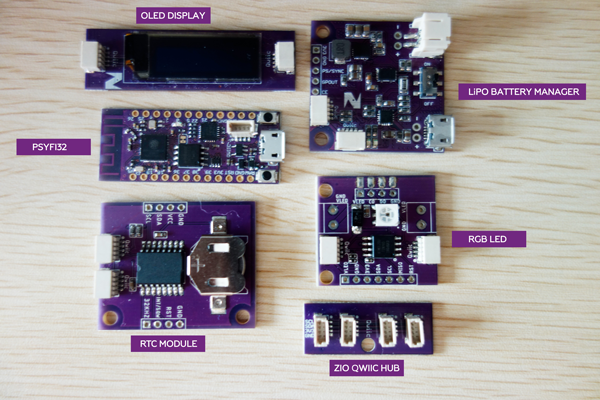 Zio is a new line of open sourced, compact, and grid layout boards, fully integrated for Arduino and Qwiic ecosystem. Designed ideally for wearables, robotics, small-space limitations or other on the go projects. Check out other awesome Zio products here. The following tutorial can also be used to set up similar qwiic compatible modules and sensors. Following the schematics diagram, connect all the Zio modules and sensors together with qwiic cables. Note: There is no particular order that you need to connect the modules and sensors together. However, for the simplicity of this tutorial, you can refer to the schematic diagram to position your sensors and modules set up. Before you can code your Indoor Environment Kit, you need to install the required libraries to your Arduino IDE. Download and install Arduino IDE to your computer if you haven’t already from the Arduino website. Open Arduino IDE and connect your PsyFi32 Development board to your PC. You should have already configured your PsyFi32 to Arduino. If you haven't, check out this guide here. To install the libraries open your Arduino IDE, go to Sketch tab, select Include Library -> Add .Zip Library. Select the above libraries to be included on your IDE. 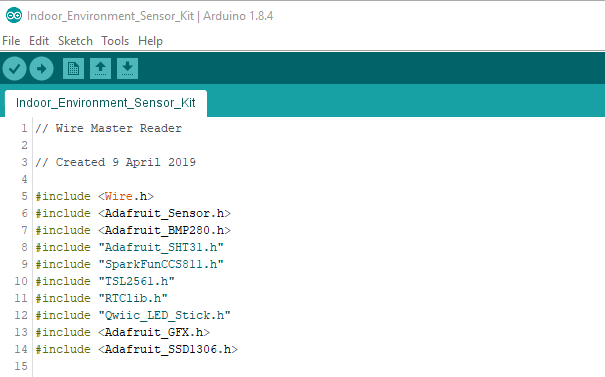 Alternatively, the Arduino website has a handy guide on how to install libraries to your IDE. You can check out the post here. 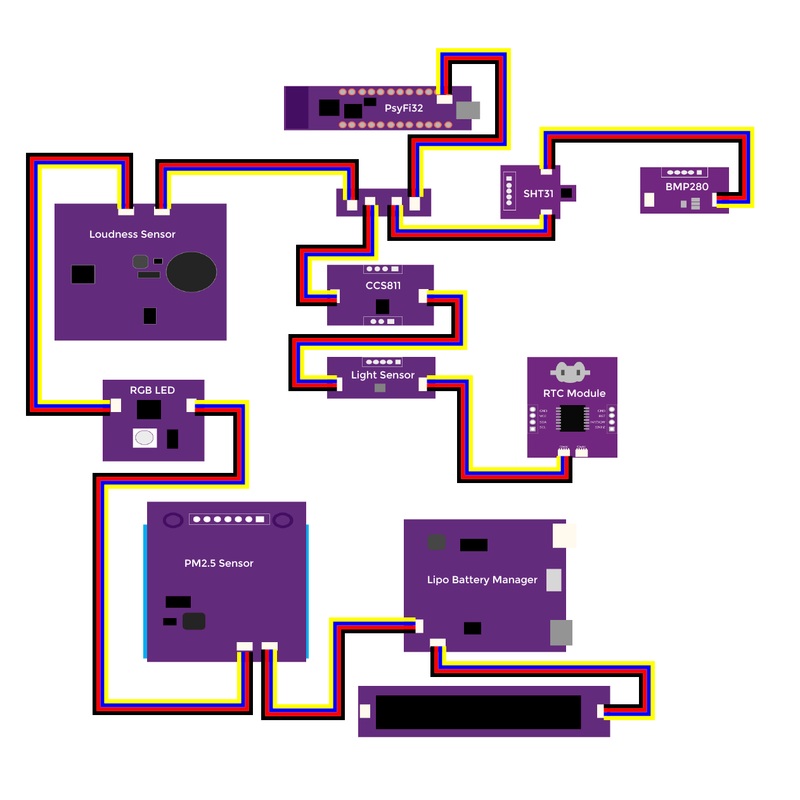 Once you have installed the required libraries, download the Indoor Environment Sensor Kit code from our Github page here. Unzip the file and upload and run your code. Once you have successfully run your code, your device will be able to read the data needed to monitor and measure your environment. 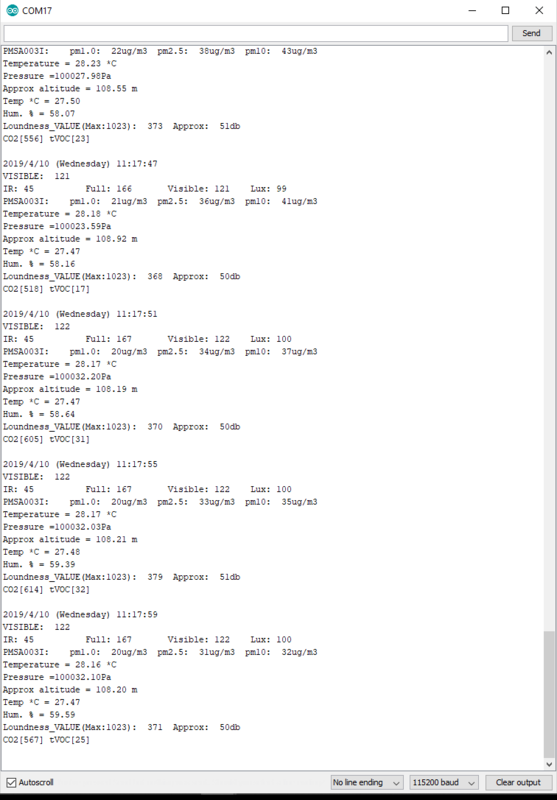 Open the serial monitor of your IDE and you can see the data collected from your device. 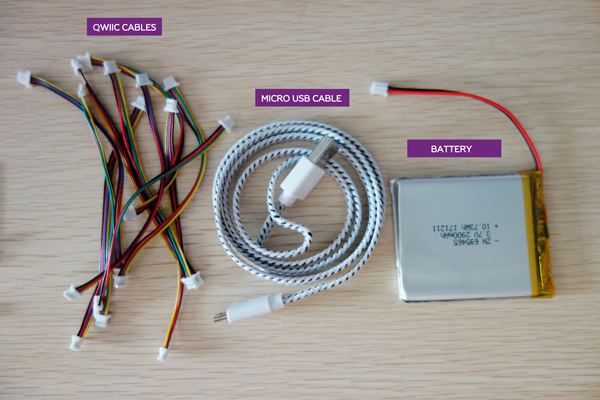 Unplug the USB cable from your PsyFi32 board and attach a battery to the LiPo Battery manager. You can now have a portable Indoor Environment Sensor device that you can carry around your home or office. I made a makeshift case for my device out of a cardboard box so I can be able to monitor and read my environment data anywhere where my device is placed. In the next segment of this tutorial, we will show you how to connect your Indoor Environment Sensors kit to the cloud using an online free and open source IOT platform.